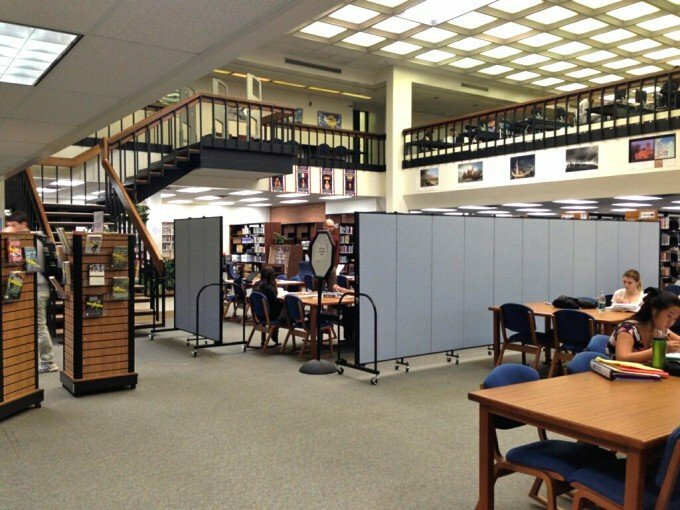 Screenflex display systems and Portable Partitions are your solutions for displaying information in your library or school. 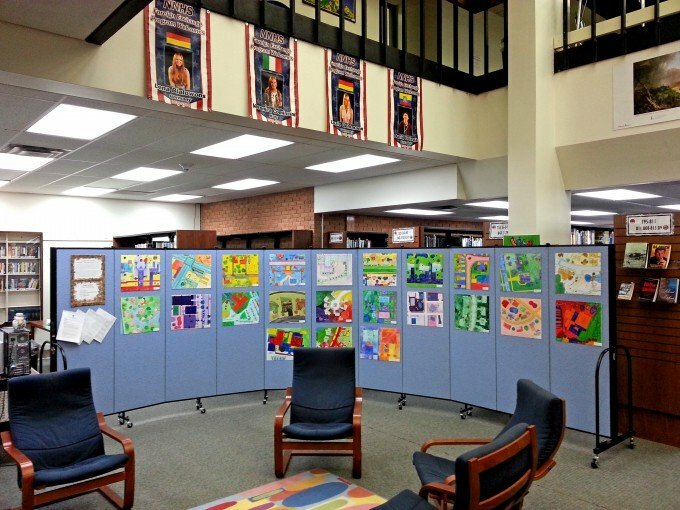 You can also use Screenflex portable walls to make instant collaborative learning spaces or to showcase student artwork. 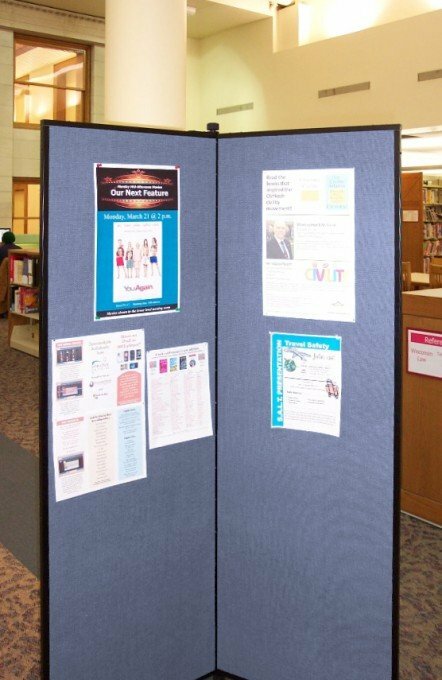 Screenflex Portable Display Dividers… The Solution To Your School & Library Information Display Board Needs! Imagine having a large bulletin board that you can roll from place to place. These display walls are completely portable and tackable. 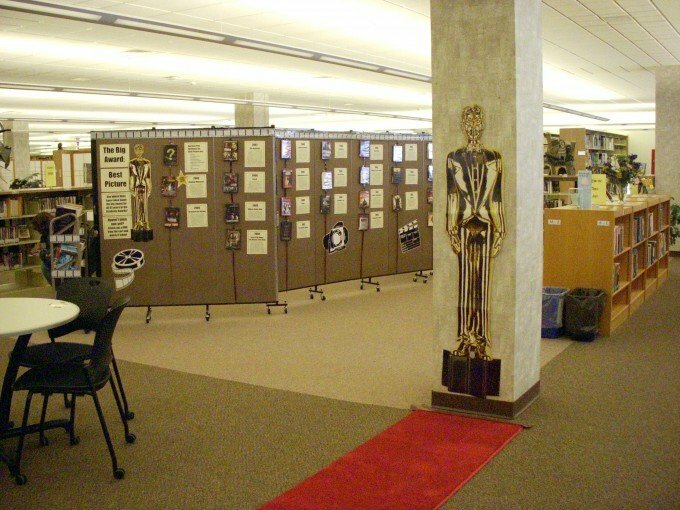 Even better is, should you need to store them, the Display Systems fold flat, and the display dividers fold accordion style, needing only need a 2′ X 3′ storage area. Both can easily be guided through any standard doorway. This quick video shows how easy our product is to use. 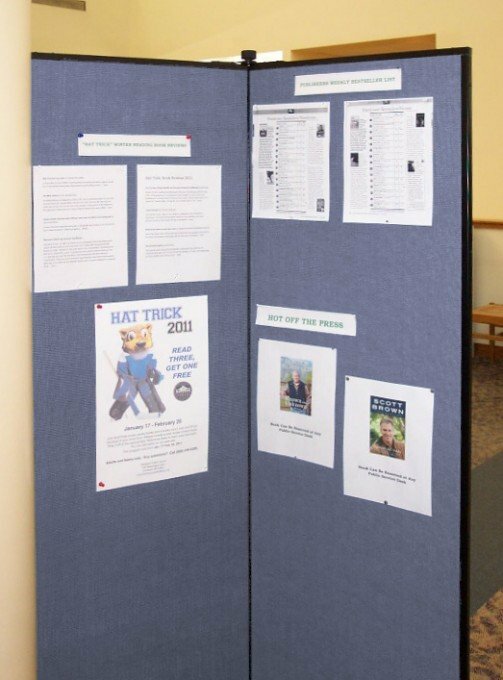 To see more photos of how other schools and libraries are making use of Screenflex Portable Display Dividers, see our photo gallery of customer supplied images, for ideas on how you can use display dividers in your facility. Our display systems are available in 2 heights and either a 3-panel or 6-panel configurations and 37 colors. 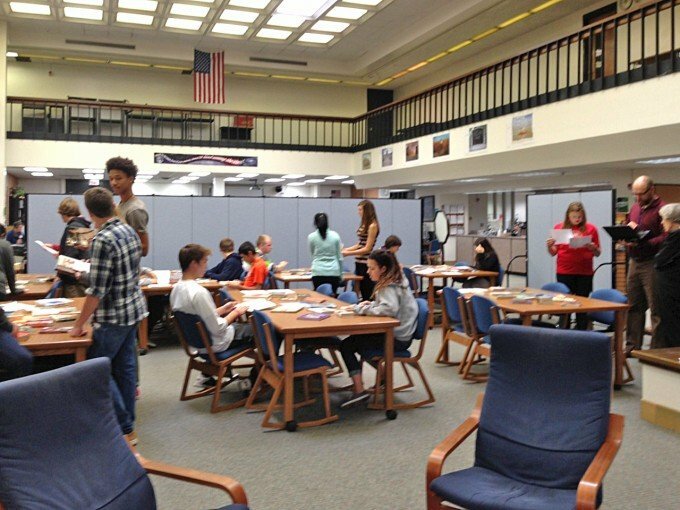 A collaborative learning area created using Screenflex Portable Partitions. 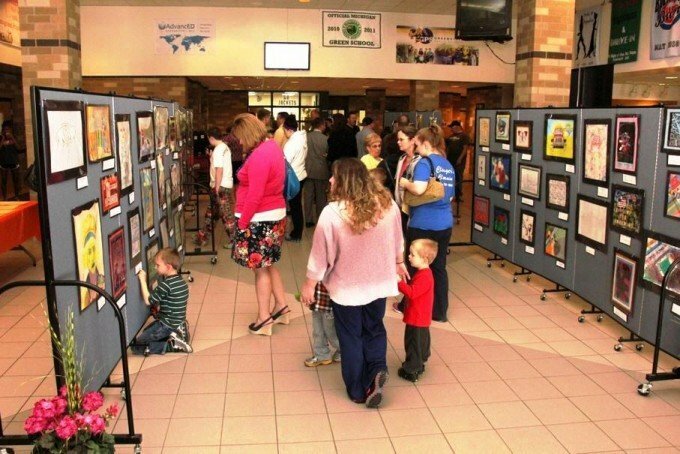 A Winged Screenflex Art Display System used to showcase student artwork in a Library.